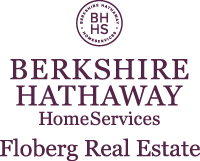 "Our agents are proud to be a part of the Berkshire Hathaway HomeServices network. In Big Sky Country, no matter if you are a cowboy, oilman, or 'city slicker' our name stands for integrity, longevity and excellence." Through our property search, you will be able to search all the homes and properties in the greater Billings area, including Red Lodge and Columbus. To make your search even easier, you can save your searches and have the site send you property alerts to let you know when new properties that fit your criteria come on the market.Our weekly open houses are a great way to see the homes first hand. Whether you are looking for a starter home or ready for a Luxury home, you will find it here. Our Relocation Department is your source for assistance when your career brings you to the Billings area or being transferred out. Our Relocation Specialists are trained to help you through the corporate relocation process.